Rera's implementation is patchy across states, and the powers of the regulator to enforce its orders are also limited. The Uttar Pradesh real estate regulator granted relief to advocate Vivek Singh’s client after just one hearing. The order directed a developer to refund money paid for a house along with interest within a month. The deadline has elapsed, but the developer has not paid a single dime yet. When the homebuyer approached the realty regulator again, it couldn’t do much to ensure that its order gets executed. Singh, a partner at Lex Alliance, now plans to file an execution petition in a civil court. “While home buyers get the fastest relief from real estate regulators, the Real Estate (Regulation and Development) Act, 2016 (Rera) doesn’t give regulators powers to enforce their orders,” says Singh. A real estate regulator can prosecute a developer only under certain sections of the law, such as when it fails to register the project despite the regulator’s orders. Many property experts feel that this is one of the biggest drawbacks of the Act that the Centre introduced a year ago. Though a year has elapsed, a few states and Union Territories are yet to notify the final regulations. Many who did diluted the provisions of the original Act that the Centre had notified. Some have only appointed interim regulators. Maharashtra is the only state where the regulator is evolving into a reliable watchdog. Others have a lot of catching up to do, according to lawyers and consumer activists. Struggle for basic information: Of the 27 states and union territories that have established real estate regulators, only 19 have functional portals, according to a report from property consultant Knight Frank India. Even in most states where the website is functional, buyers are unable to get adequate details about projects. In the absence of information, many buyers don’t know whether they will get what the developer promised them. There continue to be cases where developers promise buyers that they will deliver the project within three-five years and mention it in the allotment letter. But later, when registering the project with the regulator, they extend the date. When buyers approach the regulator, the latter goes by the date mentioned either in the registration documents with it or in the agreement for sale. When buying a flat in Virar, Mumbai-based Punit Kinariwala was promised possession in mid-2016. The marketing brochure and the allotment letter even offered a 9 per cent penalty for delay. The developer, however, mentioned a date of possession in 2019 when registering on Rera website. When Kinariwala approached the regulator, the latter didn’t provide any relief. No registration, no relief: In many states such as Karnataka, Tamil Nadu, Telangana and Uttar Pradesh, the definition of an ongoing project has been diluted. Only developers who have not received a completion certificate (CC) or an occupation certificate (OC) need to register with the regulator. Also, some other conditions can be confusing for buyers. Developers, for example, are exempted if all development works have been completed and sale/lease deeds of 60 per cent of the apartment, houses or plots have been executed. When home buyers have approached regulators in some of these states, they didn’t admit the application, citing that the project is not registered. “The regulators need to be more proactive and check whether the developer is flouting the law by not registering, or is not liable to register the project. But the authorities are not doing so,” says Abhay Upadhyay, national convenor at Fight For Rera, a forum that has been working for Rera’s implementation. Upadhyay points out that in states where the definition of an ongoing project has been diluted or is unclear, developers that have applied for an OC or CC are also getting away by not registering their projects. Need for tighter checks: To ensure that the funds collected for a project are used for it, Rera requires developers to put at least 70 per cent of the money collected from customers against the agreement to sell in an escrow account. The funds have to be used exclusively for the project. This provision is meant to address the issue of diversion of funds, which leads to delays or non-completion. While the provisions exist, regulators need to ensure that developers stick to the law. Regulators need to have a detailed mechanism to monitor the fund allocation for land acquisition. They also need to monitor the construction costs of developers to capture fund use. Bankruptcy law, Rera conflict: Recent developments in the real estate sector highlight the problem of builders declaring bankruptcy in ongoing projects. Home buyers being ‘unsecured creditors’, their rights may get violated in such cases. Rera is also not very clear on the issue of developers declaring insolvency. The central legislation does not have anything to say on this issue. Apprehensions about builders taking recourse to insolvency if they are unable to complete projects in time have cropped up in recent times. “The concern is that the home buyer is an unsecured creditor, and therefore lower in settlement priority. 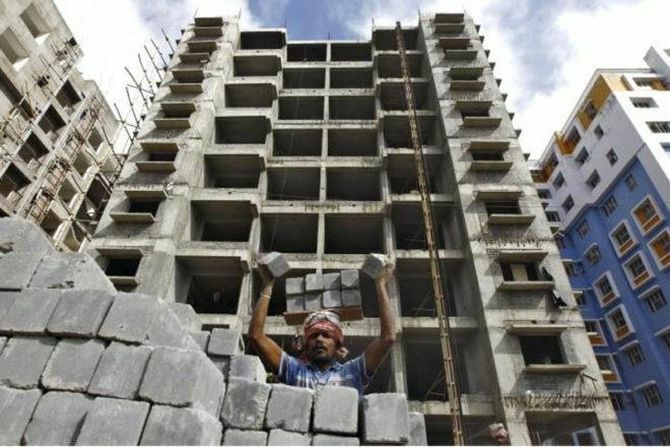 But it is also true that since a third party right has been created, whoever takes over the project for completion cannot rescind the right of the buyer,” says a report by Thought Arbitrage Research Institute and ASSOCHAM on Rera. In case of Amrapali Developers, the Supreme Court said that financial creditors could not take over homes belonging to buyers. Experts say that nonetheless there is still scope for conflicts in future.